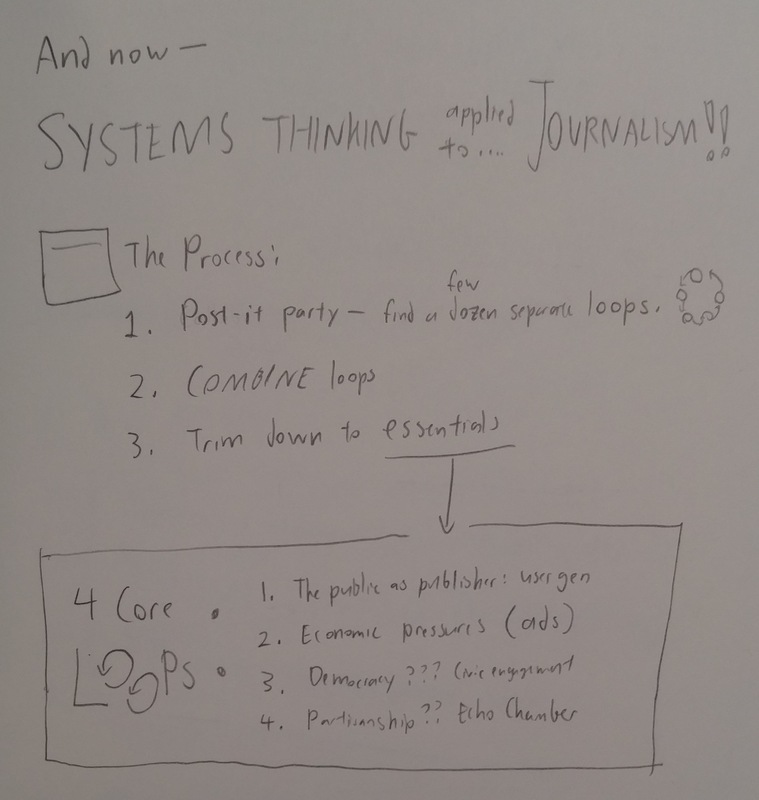 This week, I went to this small two-day workshop for journalists to learn about Systems Thinking, and to figure out how to apply it to their own work! 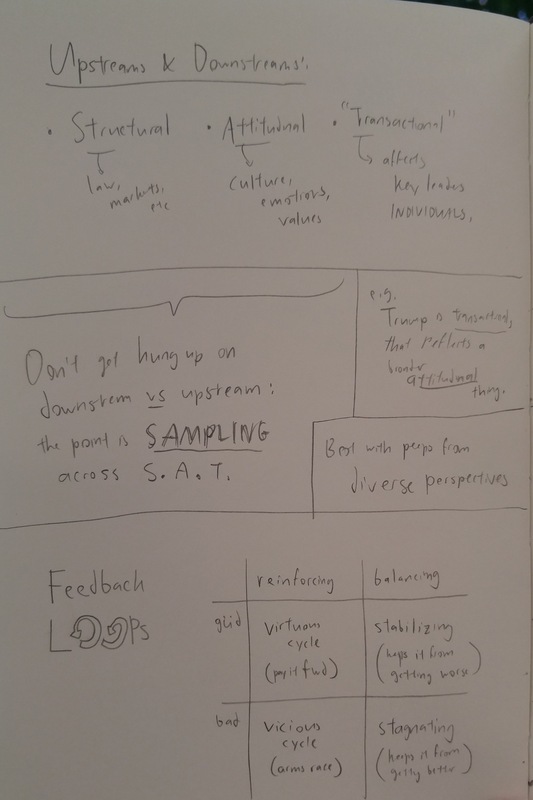 Here are my messy sketch-notes, with some personal reflections. But this nonlinearity makes these kinds of systems hard to analyze (with traditional methods), since there no longer is any one “root” cause, if all things can affect all things. Lotsa systems are like this – political, economic, societal, etc… all ripe topics for a journalist to pick apart! 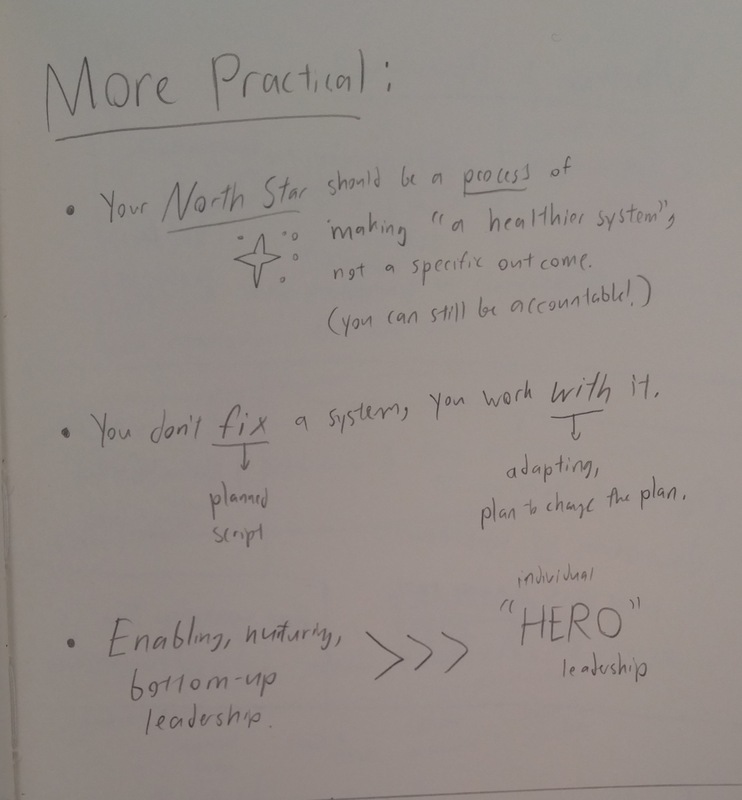 How to tell stories about systems, or stories with systems. Start with a concrete human story, then expand outwards to the whole system. 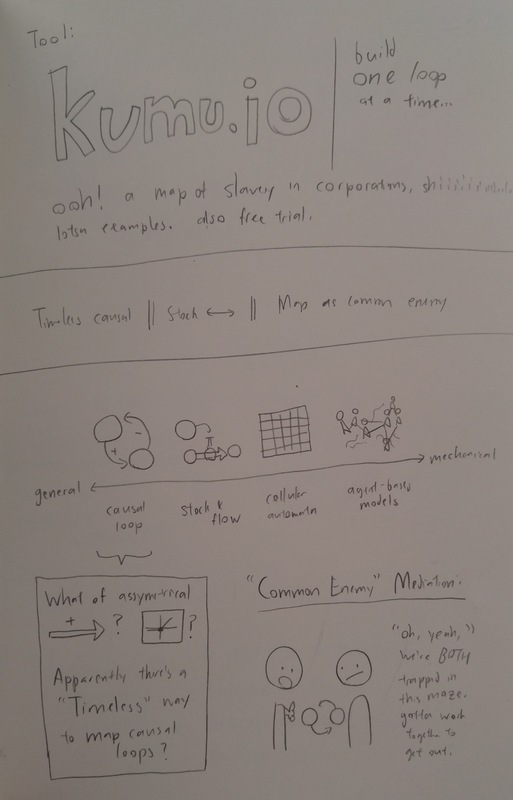 How do you tell a nonlinear story with a linear medium (like text, film, audio)? One good example is The Wire. 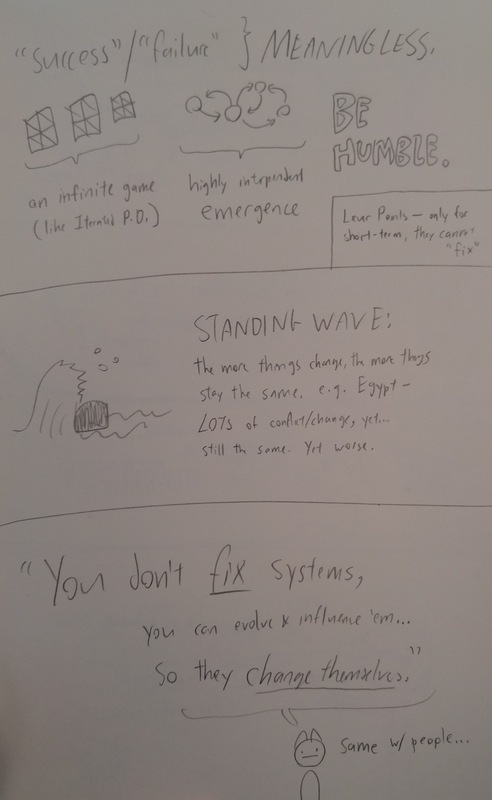 One could also use nonlinear mediums like comics (e.g. 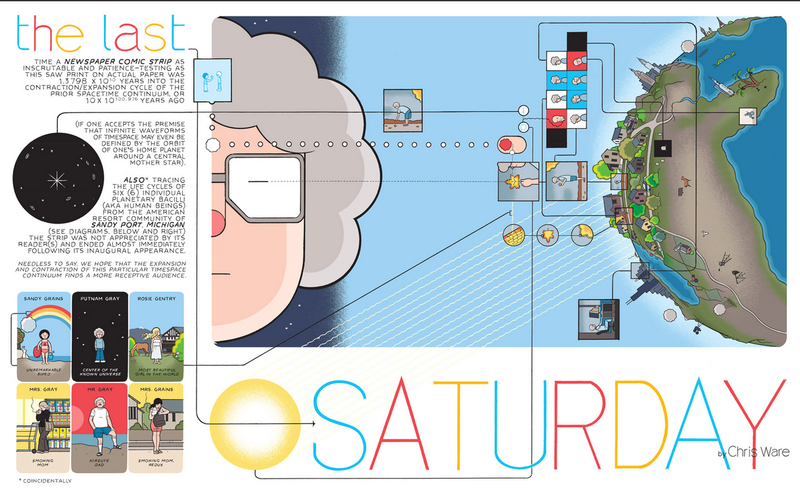 Chris Ware) or interactive stories/videogames. Systems have “plot twists”: like how surprisingly quickly a feedback loop can spiral out of control. How to use Systems Thinking to positively affect the world! 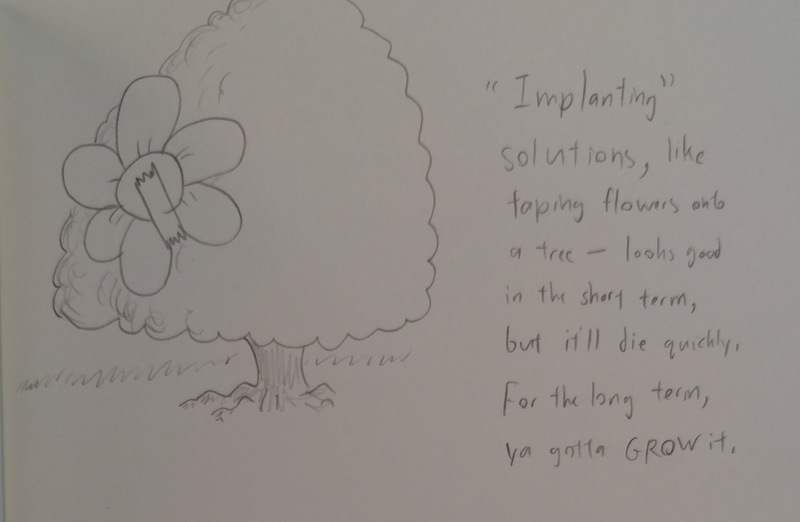 In Foreign Aid: “implanting” a foreign fix is like taping flowers onto a tree, instead of helping the tree grow its own flowers. How To Influence, But Not Control: Show positive examples that counter bad trends. Show them things that resonate, or “go viral”. Give ‘em the tools to help themselves, then back off. In Conflict Mediation: (one of the instructors is a conflict mediator and peacemaker) Get input from diverse people. Get all sides to stop blaming each other, and instead, show them how the system is their common enemy. And positively reinforce and highlight moderates, and people who cross-cut different groups. See this essay I wrote a while back, The Science of Social Change. On real empathy, and how we activists are doing things wrong. I think what resonates with me most is the idea that good people can be trapped in a bad system. The idea that most people have fair – sometimes noble – reasons for doing what they’re doing. That’s real empathy. Project-wise, I’m most interested in interactive art & simulations – and systems thinking can help a lot with that! 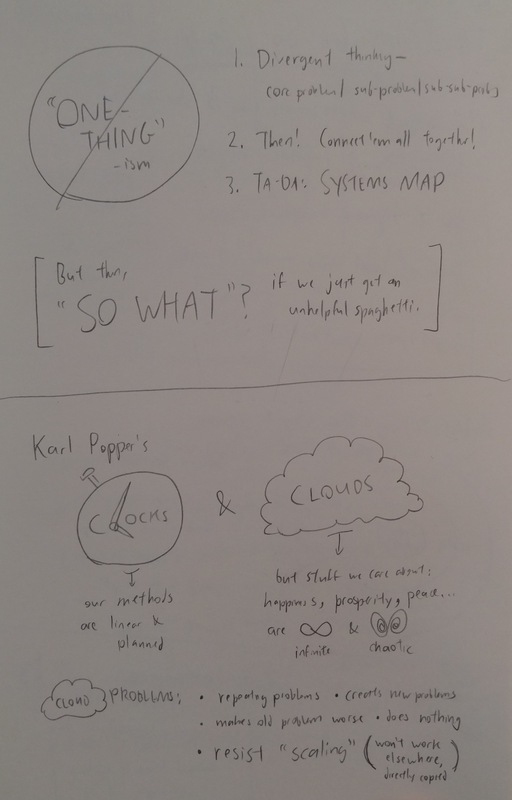 Instead of just a static causal-loop diagram, maybe there’s a way to make it interactive, to be able to ask “what if” hypothetical questions, and find paths to change the world’s systems? 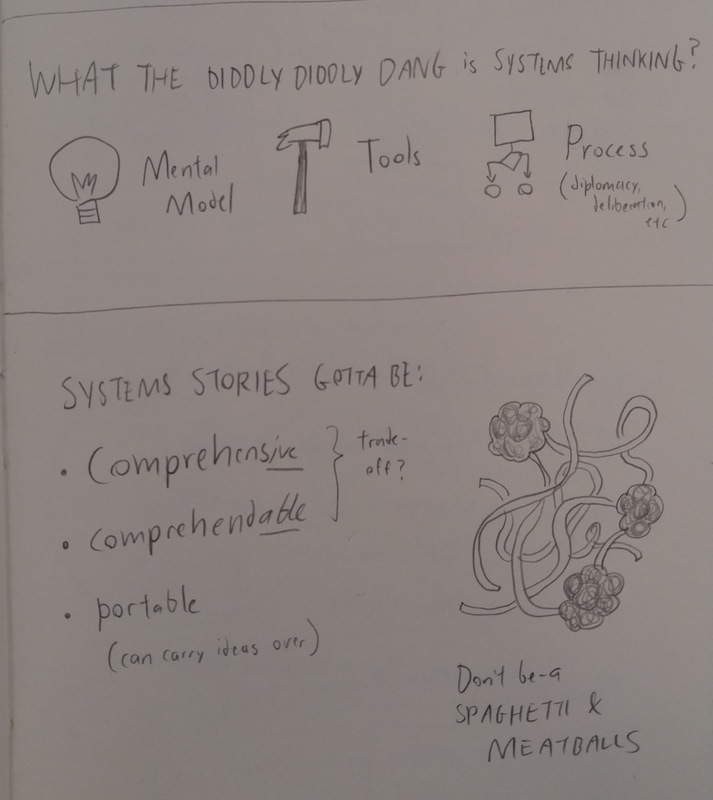 If you're an educator, journalist, or just a curious person, Systems Thinking can really help you a lot. 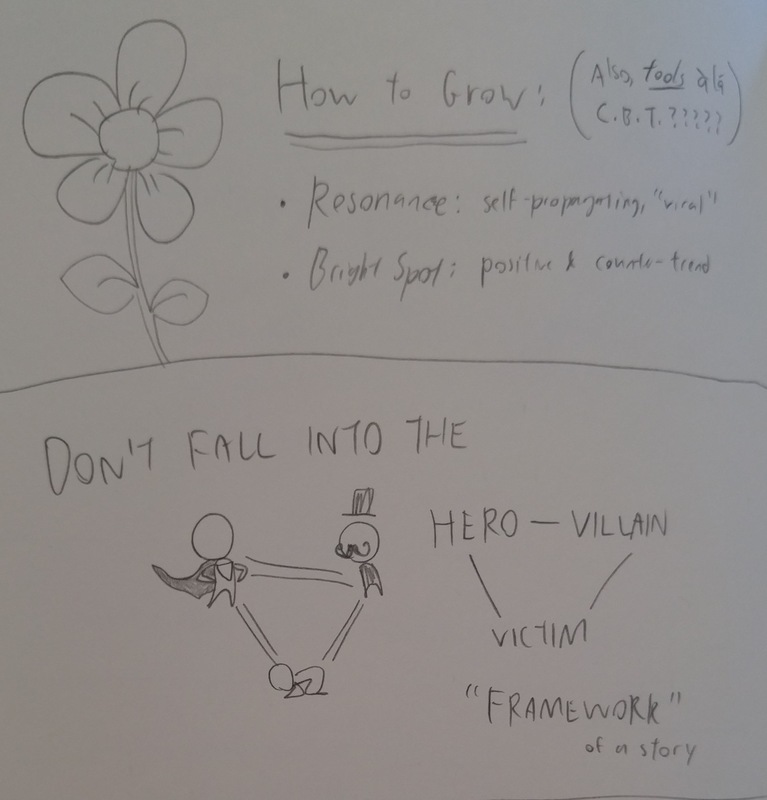 Hope these messy notes could be a good introduction for you!